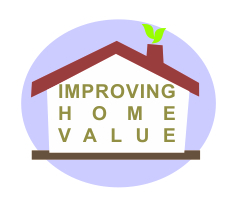 Adding a new look to your floors is another way to improve home value for an older home. Wood floors seem to be one of the more trendy things today, from hardwood to pine or what ever type. Having just finished sanding a pine floor that had been painted with a green paint, I can honestly say it consumes a large amount of time. I found the easiest way to remove the paint was scraping by hand first. 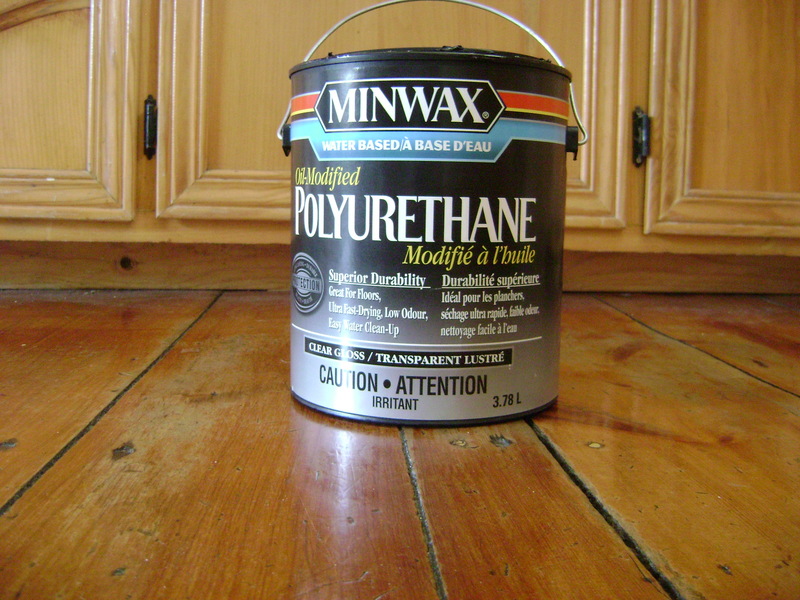 The floor was twenty five feet by seventeen feet and having found a couple pennies dated nineteen forty one and forty two below the plywood and old linoleum that covered it, the paint below this was not easy to remove. The sanding part went well and took very little time to do. 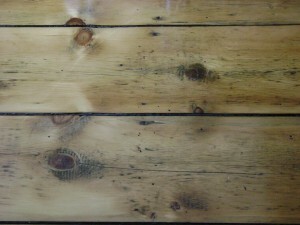 As the floor was installed in eighteen seventy or before, a few nicks and cracks seem to just add more character to it. Having looked over quite a few different products to paint it with. 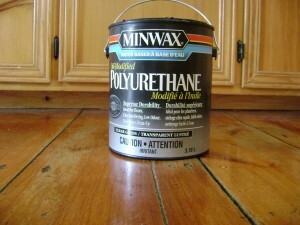 I finally settled on a Minwax Oil Modified Polyurethane. I picked the clear gloss, as I prefer a shine, satin would leave a duller finish. One thing I found great about this product is that it take two hours to dry, and can be lightly sanded then recoated.The manufacture recommends three coats, but I did four and it turned out looking great. Also has very little odor and the brushes clean up with water. It was necessary to replace a couple holes on the floor about two feet by three feet with newer pine boards. I have used newer pine boards before in this situation , so through experience I know the newer pine will come to match the older in time. Having sanded many floors in the past using drum sanders, edgers, and hand sanders, I decided to try something different. As I do drywall sanding at times and have the disk sander for this, a nine inch model, decided to give it a try. Its not as fast as the drum sanders, but if you take the time it works quite well on the pine floor. A little sanding by hand after and a good vacuum of the dust, then your floor is ready to coat. If anyone has any new ideas on doing floors, or restoring them drop me a note, always great to get new ideas.